This saucy festival is the ultimate backyard barbecue! Dig into mouth-watering ribs and wings cooked up fresh by award-winning ribbers from all over the country, rock out to live musical entertainment, cool off at the beer garden, play some games in the Kids’ Zone, browse handmade crafts and more! PLUS: At Seven Springs, you can amp up the fun with heart-racing zipline adventures, a guaranteed blast at sporting clays, breathtaking views at our mountain-top golf course, delicious dining, relaxing spa treatments and so much more! Friday, August 2, 2019 | 4 – 10 p.m.
Saturday, August 3, 2019 | 11 a.m. – 10 p.m.
Sunday, August 4, 2019 | 11 a.m. – 5 p.m. Check back soon for a full schedule of entertainment! Tickets are available at the main ticket gates located near the hotel and lower level of the ski lodge the day of the event. Price does not include applicable taxes. Food and beverages are not included with admission. Children ages 11 and under are free with a paying adult. Over 160 culinary awards, including Best Ribs & Sauce in America, reaffirm Armadillo’s BBQ and Rib Company’s dedication to bring you the very best. Our mobile equipment is state of the art yielding perfect barbecue every time. Weather it is a Big Texas style barbecue, a quaint little steak dinner, or everything in between; "It's Available." Armadillo’s BBQ and Rib Company is the 2006/2007 Pro Football Hall of Fame Grand Champion for the Most Outstanding Ribs and BBQ Sauce. Along with our 160 Awards we were crowned Grand Champion of the Columbus Ribs and Jazz Festival 2006 and Grand Champion BBQ Sauce in the Great West Virginia Rib Cook Off "Huntington 2004, 2005 & 2006" "Best Ribs 2004 and 2005" plus many more! Basting mop clenched in one fist, steering wheel in the other, rolling cooking pit rattling behind, Butch Lupinetti is back on the road. His destination could be Chicago, Minneapolis, Cedar Rapids or anyplace in between. But the outcome will never change. Butch will pour sweat for 20 hours a day, standing in a cloud of wood smoke, exquisitely charring tons of pork ribs, beef briskets and chickens. When it’s over he’ll be loaded and rolling again; very likely with a huge trophy and a check. Nationally Butch has been repeatedly recognized as one of America’s great barbecue chefs. Butch has been actively competing in competitions since 1992. He has won over 400 awards, including a Grand Champion win for the State of New Jersey – a Kansas City BBQ Society sanctioned event, the Jack Daniels Invitational BBQ and The Best In The West Cook-Off in Sparks, Nevada, the super bowl of barbecue competition events, just to name a few. During those events, his sauce has won 1st place in contests such as the Great America Rib Cook-Off contest held in Cleveland, Ohio. 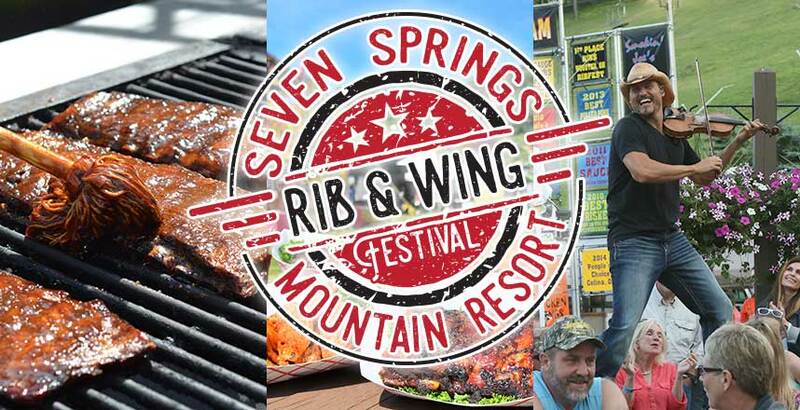 In 2014, Butch's Smack Your Lips BBQ won Best Ribs, Best Sauce and People's Choice awards at the Seven Springs Rib & Wing Festival. Pigfoot BBQ Co. is owned by Jerry and Debbie Gibson. They started competing in Rib Cook-Offs in 1982 in Cleveland, Ohio at the National Rib Cook-Off, which was the first Rib Cook-Off as we know them now. Jerry and Debbie began competing professionally in 1989 and have traveled the country from Florida to Toronto, as far west as St. Louis and as far east as Boston. Along the way they have won over 250 Awards for Best Ribs and Sauce. Including seven time winner of the People’s Choice Award in Cedar Rapids, Iowa; Best Ribs and Sauce National Ribfest, Naperville, Illinois; Peoples Choice Greatest Ribs in America, Cleveland, Ohio; Best Sauce and Ribs Twin Cities Ribfest; Best Ribs in Ohio six years straight and many more awards. Joe is a "barbequer" by choice. He loves the art of barbeque. Joe retired from the State of Ohio in April 2003 with 30 years of service in the Food Service Department at the Richland Correctional Institution and started his business in June of the same year. Operating a barbeque business has always been what Joe wanted to do in retirement, and now he is "Living the Dream!" Smokin Joe’s Hog Wild Barbecue has participated in rib cook-offs in seven states: New York, Pennsylvania, Ohio, Michigan, Illinois, Indiana, and West Virginia. Our proudest award was Best Sauce in 2008 at the Naperville, IL Ribfest, notably the largest cook-off in the Midwest. We have won over 100 awards during the past eight years including: Best Ribs, Best Sauce, Best Brisket, and Best Beans in the Midwest. Since our origination, we have been traveling around the country competing and winning at many of the major rib festivals. Although our specialty is our St. Louis style ribs, we are also famous for our pulled pork sandwiches. We offer three award winning sauces including “Hickory Lickin’,” “Smokin’” and our too hot for most, “Freakin’ Hot.” So, if you have never tried our BBQ, give us a taste and get your MOJO’S WORKIN!